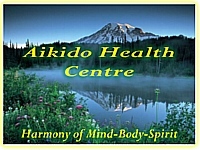 Aikido for Self Discovery, Harmony, and Happiness! Find your true self with Aikido for self discovery. Learn how to flow with life energy rather than resisting it. By doing this daily you will develop powerful ki energy, that you can use for the benefit of others. Aikido is much more than just another martial art. It is a way to learn all about the most important person in your life - YOU. Using the martial techniques of Aikido, as a tool to develop your higher self is an exciting road to travel. You will learn many things about yourself that you like, but also many things that you don't like. Make changes or... ignore them! If you want cutting-edge info to help you move along the path at a much faster speed, then check out my Aikido Success Blueprint It offers key action steps for fast results! The secret to using positive Aikido for self discovery is to develop and use your good qualities to help other people in their lives. That is, be open and helpful, in the dojo (training hall), and in daily life. While working on things about yourself that you dislike, ego is very likely to show up, and must be released or at least controlled. you'll see plenty of it! Remember also that, whatever comes up in your life, you'll learn how to deal with it in a positive way. Any ego or emotional energy will be put in perspective. How important is a particular problem in the bigger picture? You Can Release It into the Universe! Life gives energy, love, people, and material things to us and we must give it back. This is balance, the harmony that Morihei Ueshiba O'Sensei, referred to often in his lectures. 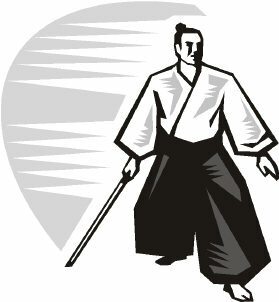 Positive Aikido for self discovery is a way to truly empower your life. It will help you become more confident in yourself and go on to reach your dreams, desires, and life goals, helping other people along the way. study the essence of the art. You can discover powerful health secrets to boost your energy levels Fast. My unique Optimum Health Secrets is an absolute Gold-Mine of wisdom.